When it comes to buying a desktop computer, people normally focus on the Motherboard features, Processor power, the LCD size and resolution, Hard Drive space, RAM and the Cabinet Design, the one area people don’t care too much about is the Keyboard & Mouse, which is strange considering that these 2 peripherals are always in contact with our hands when we operate a computer. Usually people are generous in spending money on the internal components of a computer but when it comes to the keyboard & mouse most people cheap out. Do you find it uncomfortable to type on your keyboard continuously? Do you feel any pain/discomfort on your fingers/wrists while using the keyboard? Is there any lingering pain on your fingers/wrists even when you haven’t used the keyboard for couple of hours? If the answer to the above questions is YES then it’s time to start looking for a new keyboard. If you are considering buying a new keyboard then it’s important to know what are the types of keyboard available. There are basically 3 popular types of Keyboard — Membrane Keyboard, Scissor-Switch Keyboard and Mechanical Keyboard. The first 2 types of keyboards are common and you must have definitely used them because these keyboards are relatively cheap and usually are bundled with desktop computers or laptops. The third type Mechanical Keyboards are expensive and are not commonly available in stores and very few popular keyboard brands make these types of keyboards. This is the most widely used keyboard type. The primary reason for it’s popularity is that it’s cheap. Mostly desktop computers use this keyboard now, current laptops house Scissor-Switch Keyboard. For a detailed description on Membrane Keyboards click here. 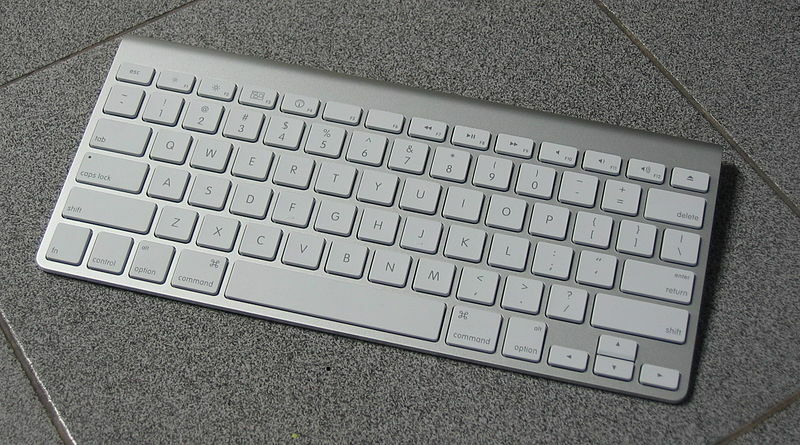 These types of keyboards are mostly used in Laptops popularly known as Chiclet Keyboard. Scissor-Switch keyboards have a better tactile feedback then regular Membrane Keyboards. They also require less space compared to regular membrane keyboards which is why they are primarily used in laptops to conserve space. Mechanical keyboards use individual switches for each key and due to this they are slightly bigger and heavier than regular keyboards but this enhances the durability of the keyboard, the switches on Mechanical keyboards have a life cycle of 50 Million operation whereas regular keyboards have a life cycle of 5-10 Million operation. On regular keyboards you have to press the key all the way down to register the key whereas in Mechanical Keyboards you just have to press the key half way and the key is registered. The point where the key gets registered is called the Actuation Point. So Mechanical Keyboards have a higher actuation point which reduces fatigue. 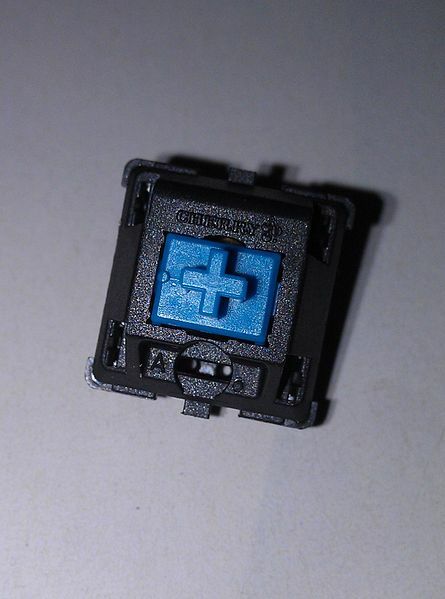 Introduction to different types of Mechanical Switches. Blue Switch:- Preferred for Typing. Creates a click sound on Actuation Point and is considered the loudest of all Mechanical Switches. If you don’t mind the sound and need a keyboard for work then go for it. Mechanical Keyboards with Blue Switches are expensive and are usually priced above ₹6,000/- but cheaper models like the TVS-e Gold Bharat are also available. Brown Switch:- Preferred for Typing. The Brown Switch is the best option for typing work, these switches don’t provide any sound on Actuation Point but provide a bit of resistance when you reach the Actuation Point which helps the user to know that they have registered the key. I personally recommend this keyboard for typing/coding work. Mechanical Keyboards with Brown Switches are expensive then the other switches and is not easily available in India. Red Switch:- Preferred for Gaming. The Red Switch is popular among gamers. They neither provide a click sound on Actuation Point (like blue switches) or provide any resistance on reaching the Actuation Point (like brown switches). Mechanical Keyboards with Red Switches are expensive and are usually priced above ₹6,000/- and is easily available in India. If you are not sure which switch is right for you then go to Amazon website and read customer reviews of different types of Mechanical Keyboards. You can also find videos reviews on YouTube. To shop online for Mechanical Keyboards checkout Flipkart, HomeShop18, eBay and Amazon.